NOTE: This tour is cancelled due to the heavy snowfall, which could pose a risk for participants’ safety on the trails and which also decreases the likelihood of detecting owls in the Park. 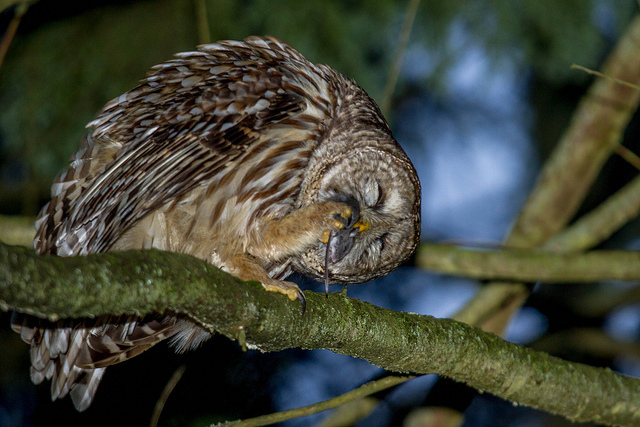 The Owl Prowl is one of the few programs we offer that are actually weather-dependent. Rain and snow make it difficult to operate sound equipment and hear the owls in return. Owls also have little waterproofing in their soft feathers, and therefore have difficulty navigating in bad weather, making it less likely we will see any. They also display limited activity on particularly cold nights with overcast skies.